Apple Store Union Square, San Francisco | Inspection Services, Inc.
Apple built a new glass and steel flagship store at Union Square in San Francisco. The retail space incorporates giant 40-foot sliding doors on the front of the building, enabling the location to take full advantage of the city’s pleasant climate during business hours. 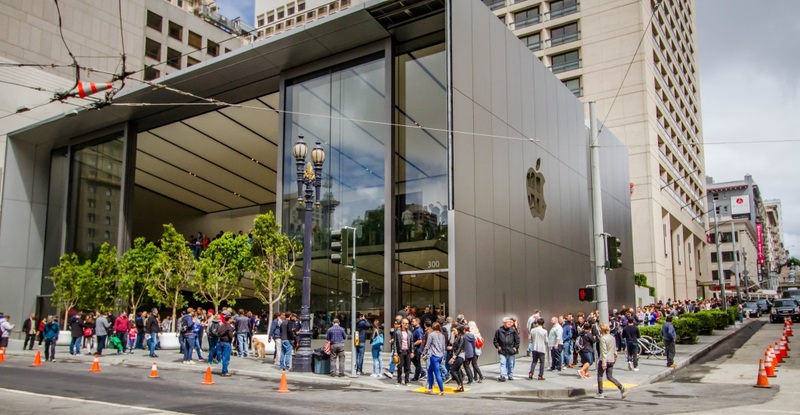 It also features a 50-foot green wall, a grand staircase, solar roof panels and a giant stainless steel logo.